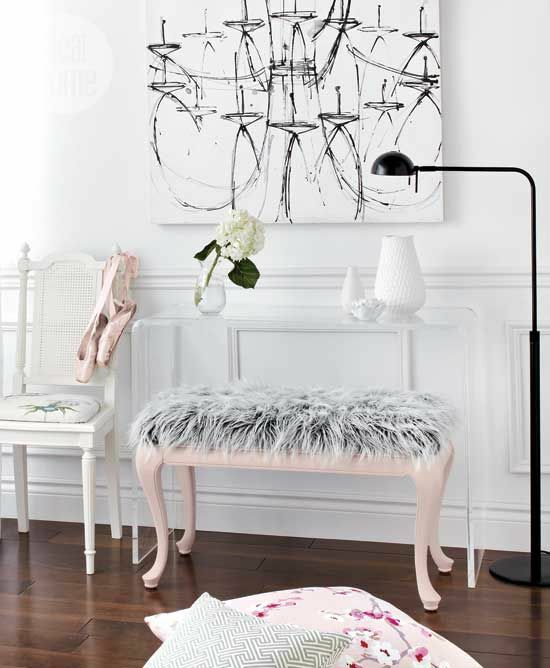 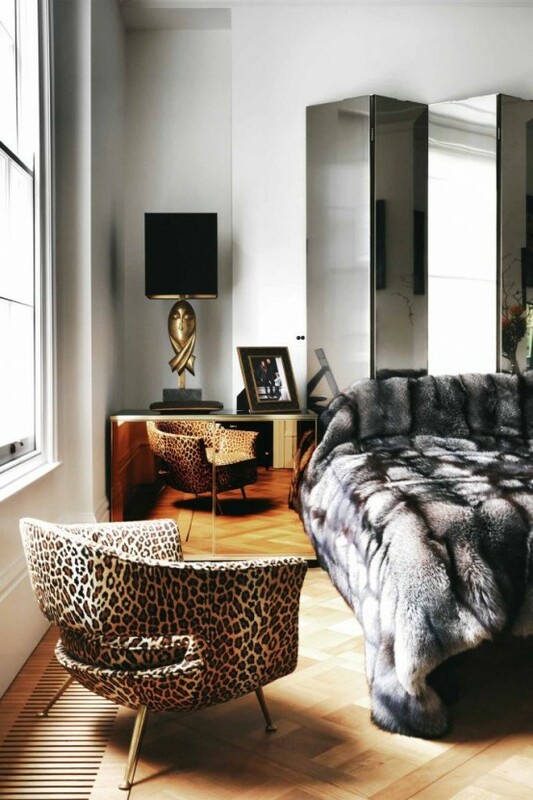 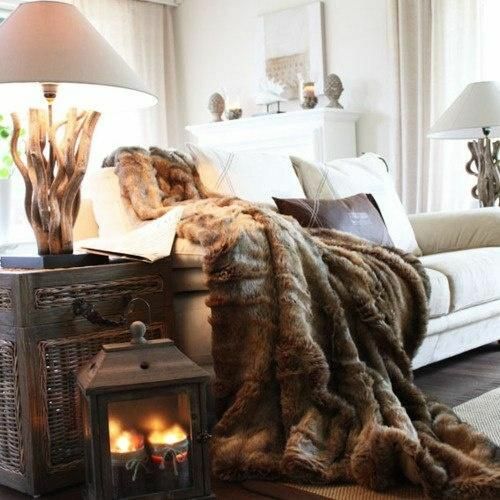 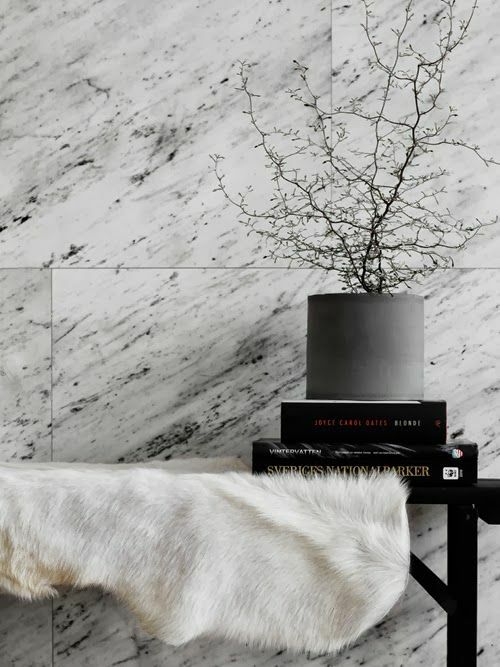 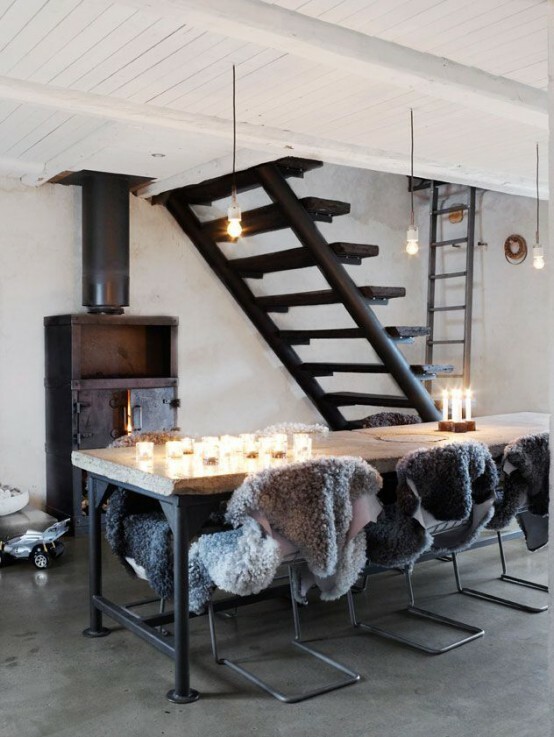 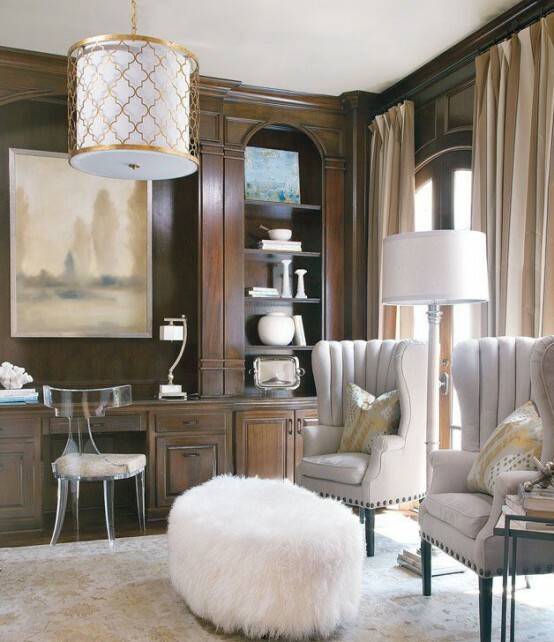 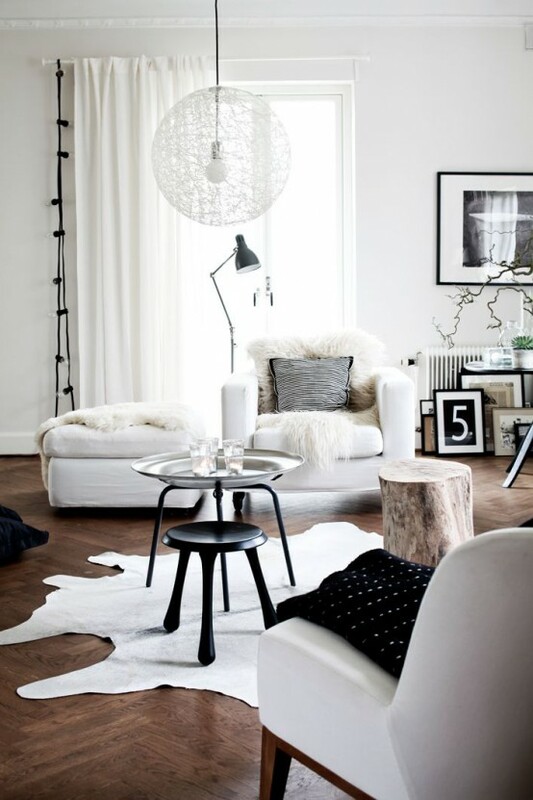 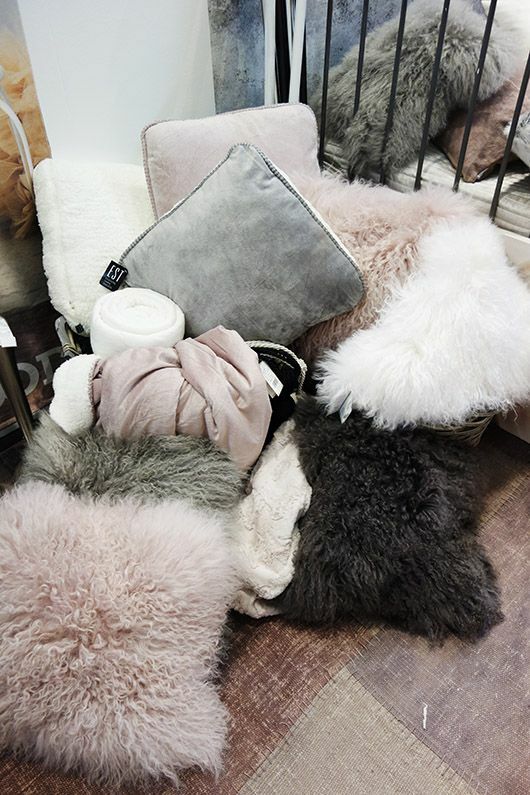 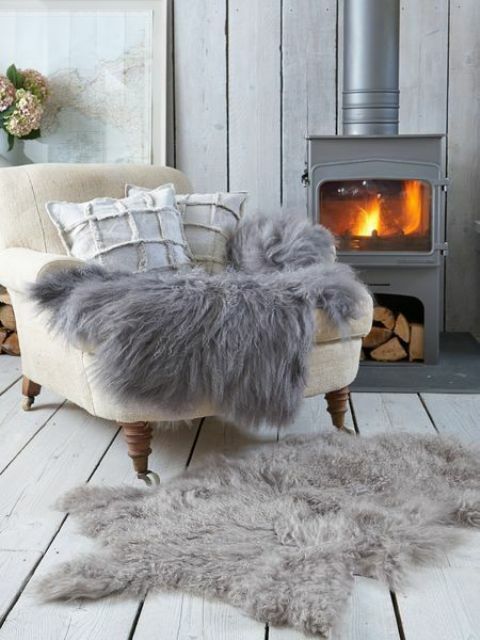 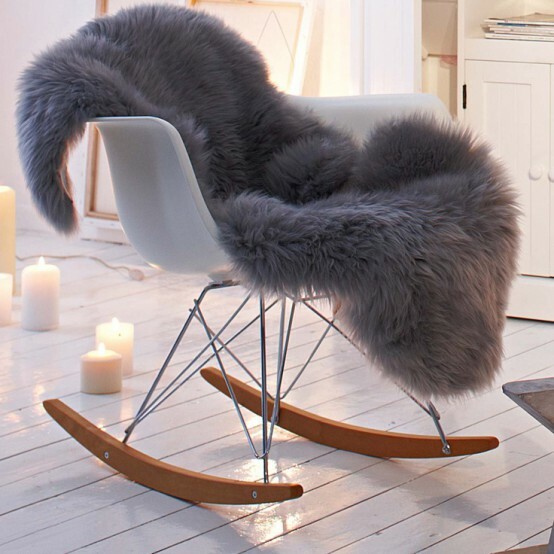 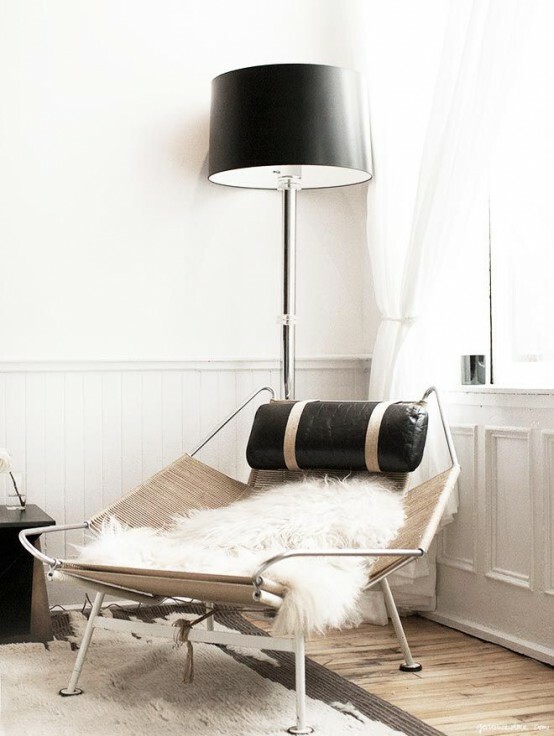 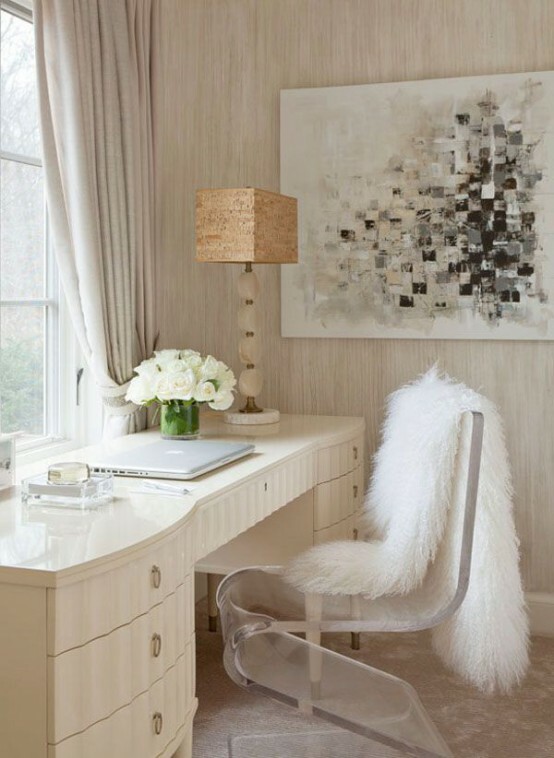 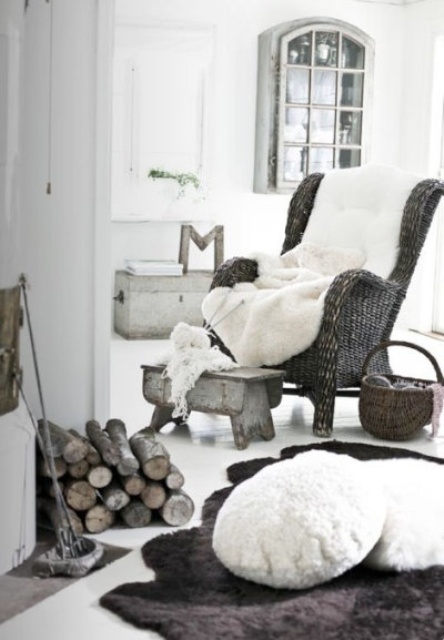 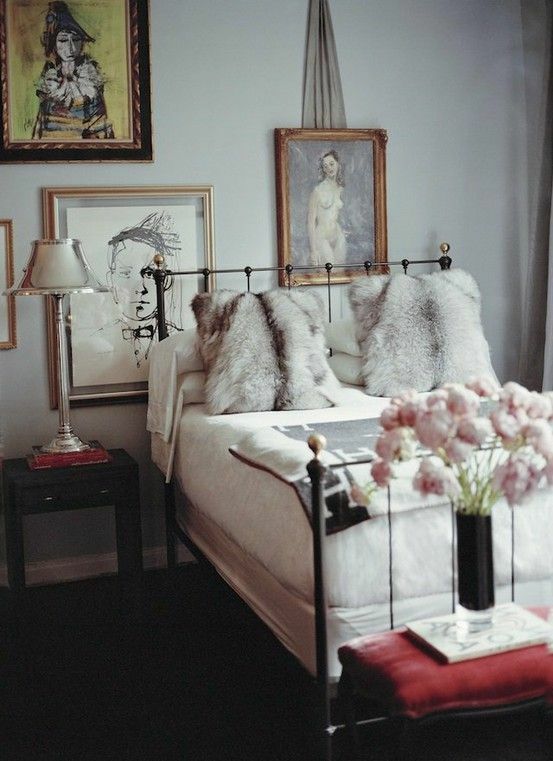 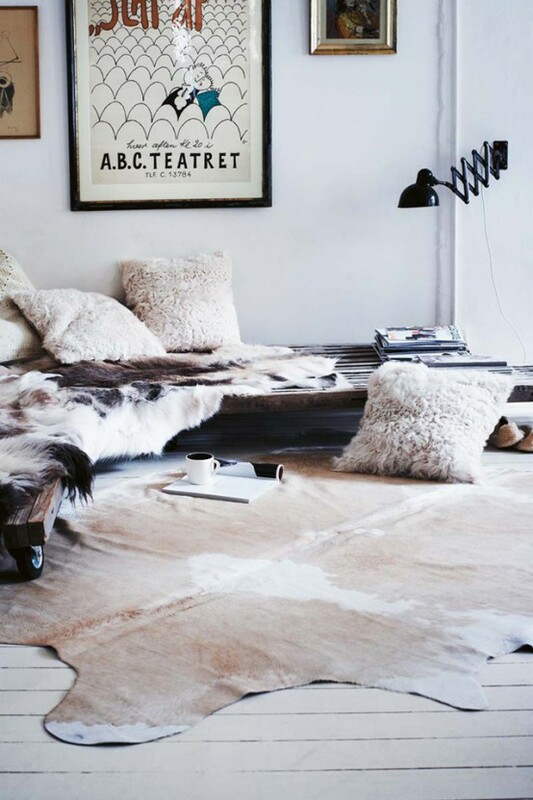 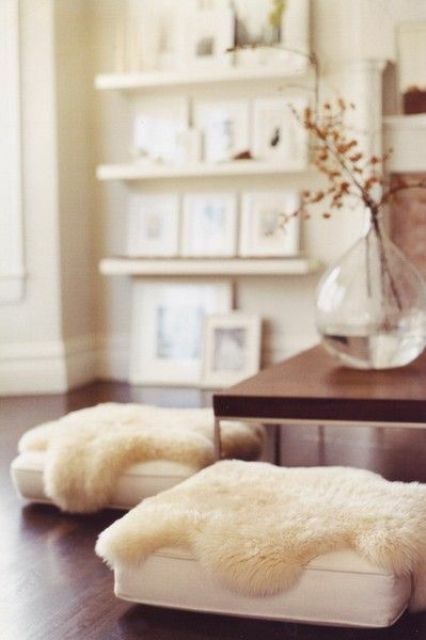 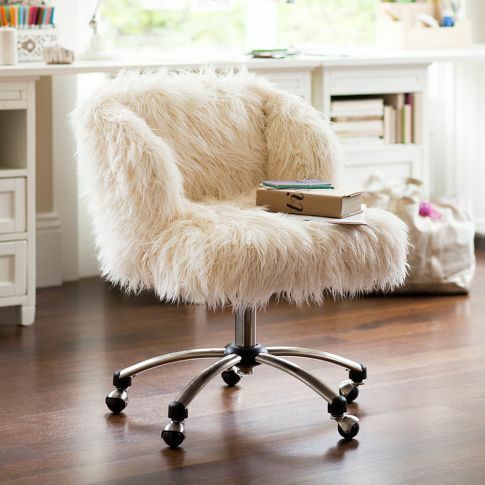 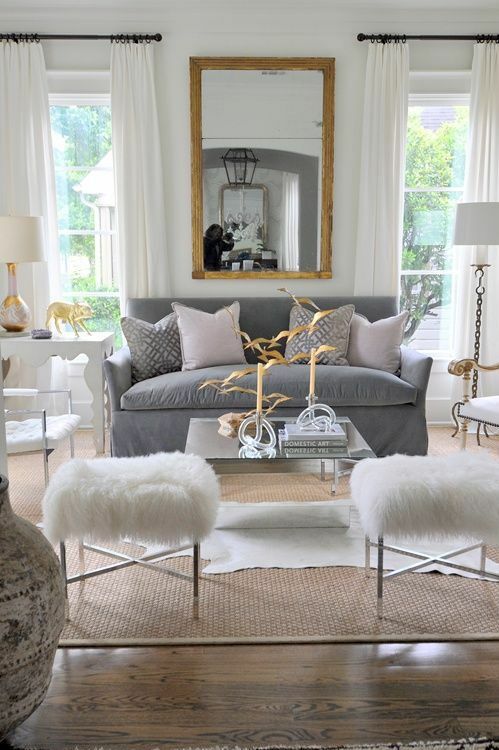 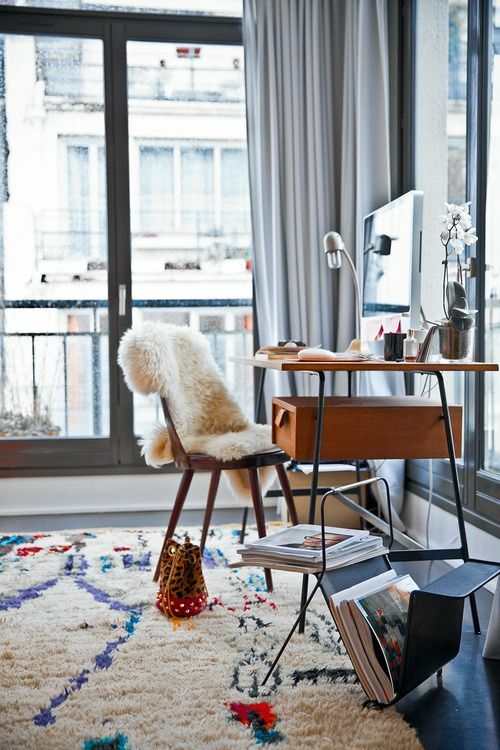 Fur and faux fur are not only warm and cozy but also look refined and make any space exquisite. 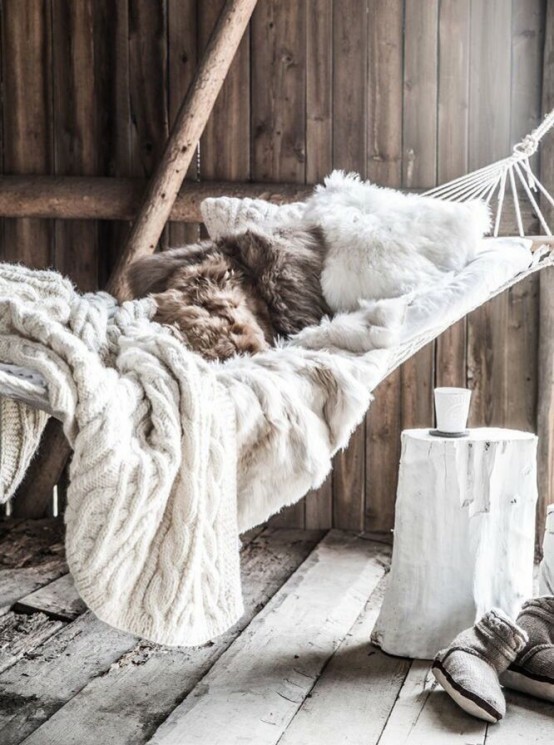 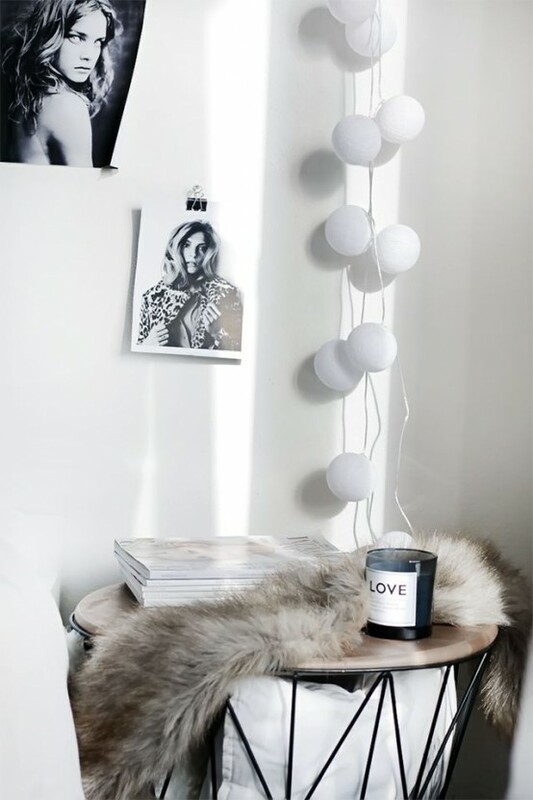 I think fur is perfect for decorating in fall and winter because it makes you feel so comfy, whichever type of fur you take. 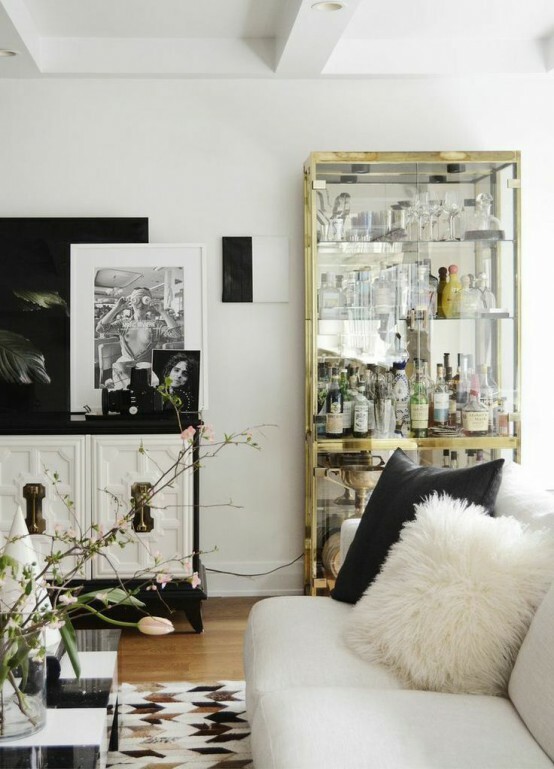 What are the ideas to use it for décor? 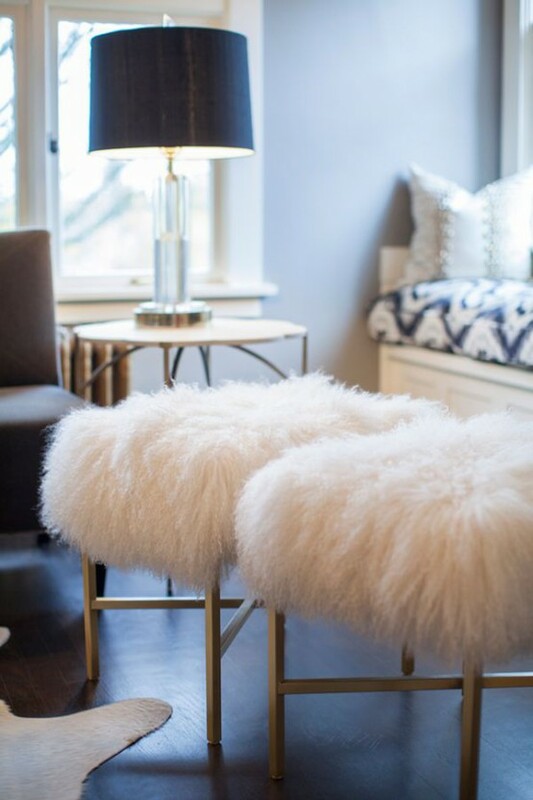 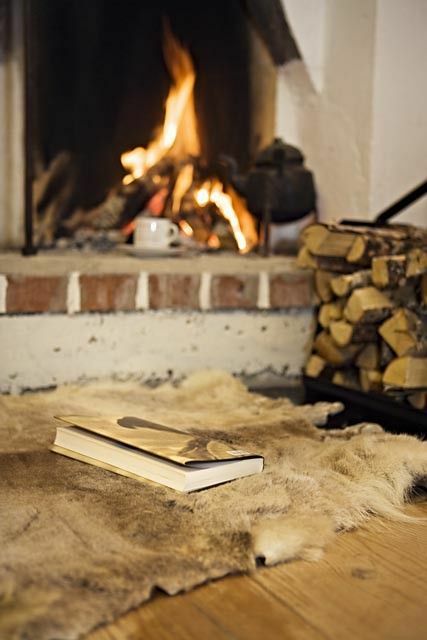 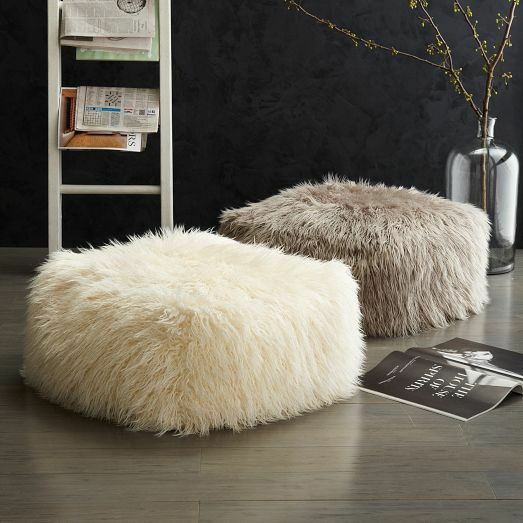 The most popular thing is a just covering a chair, a bed or a sofa with a piece of some fur; a soft fur rug will keep your feet warm. 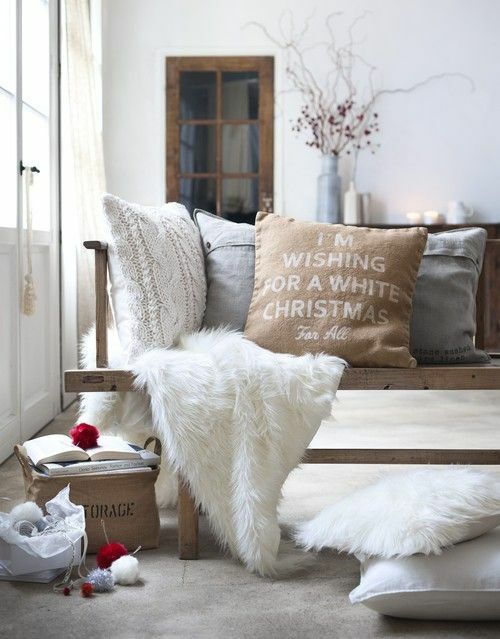 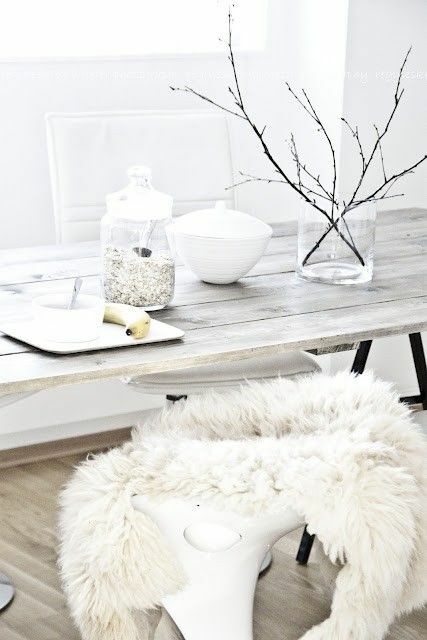 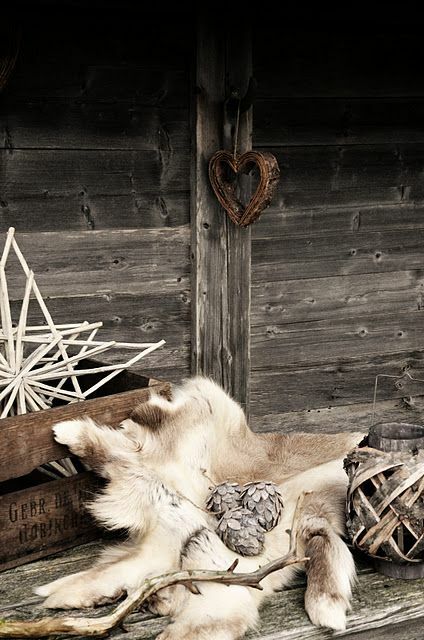 Putting fur on the table as a tablecloth or a table runner is a modern and awesome idea, so cozy for winter décor. 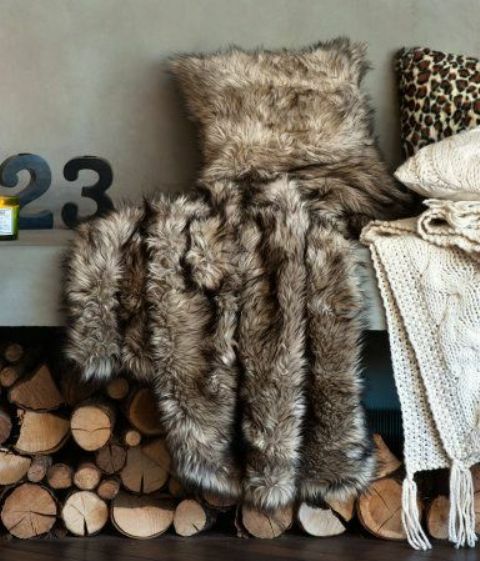 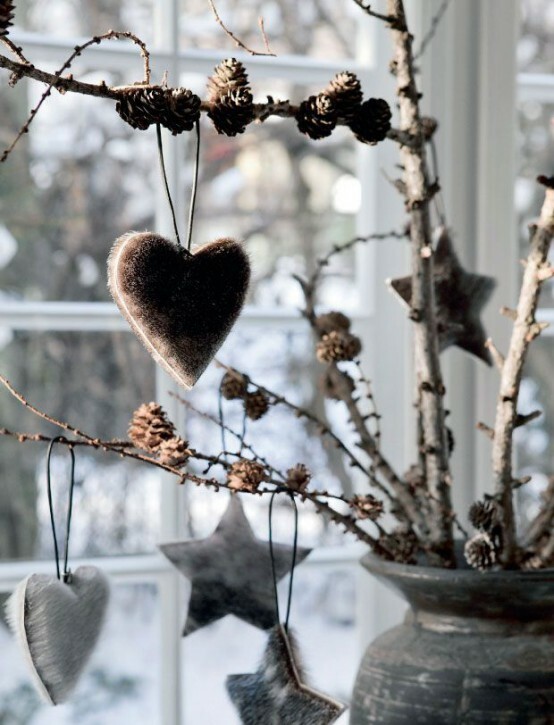 You can also make some wonderful crafts of fur like ornaments, cup cozies or placemats. 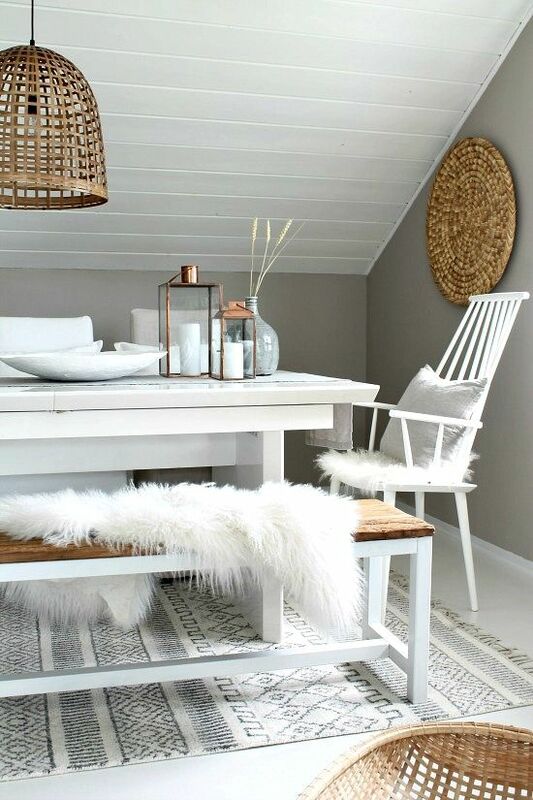 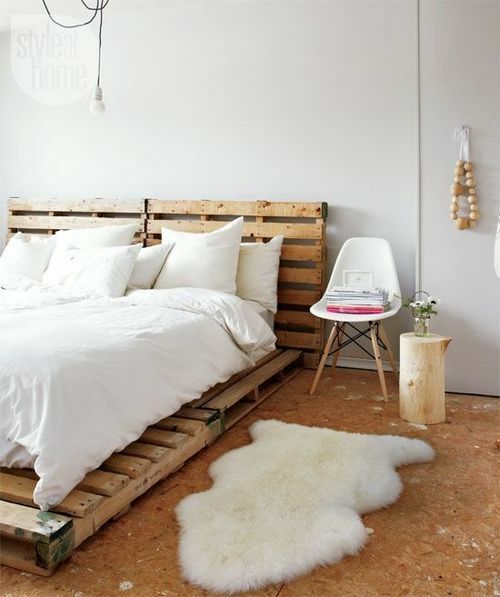 Enjoy creative ideas below and get inspired!